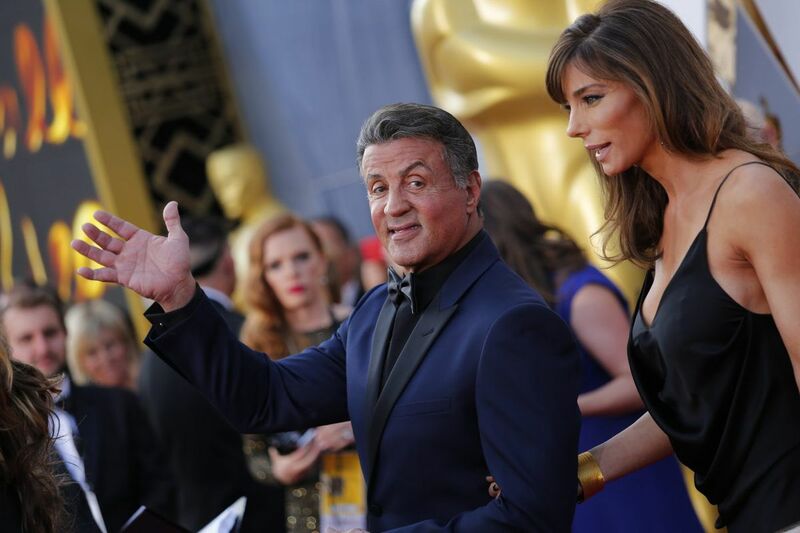 Sylvester Stallone and wife Jennifer Flavin arrive at the 88th Academy Awards on February 28, 2016, at the Dolby Theatre in Hollywood. The Italian Stallion himself is back in Philadelphia for the start of filming on Creed II. Sylvester Stallone, better known in Philly as Rocky Balboa, let fans know as much on Monday morning, when he posted a video from a filming location for Creed II. MGM and Warner Bros. confirmed via a statement that Creed II began production in Philadelphia today. "Well, here it is folks, on a beautiful Philadelphia day," Stallone says to start the clip. "But what's important is this is the first day of Creed II. I think Rocky is in this, so I'm ready to enjoy the day." In the video, Stallone also shows off his filming trailer, which he says is a little more opulent than his trailer on set for the first Rocky more than 40 years ago. At that time, Stallone hung out in the back of a van, so, as he says in the video, "progress is being made." After inviting viewers inside the trailer, he blocks the camera to end the video, and tells viewers to "keep punching." Stallone's visit to Philadelphia comes a day following his brother Frank's apology for mocking Parkland shooting survivor David Hogg in a rant posted to Twitter. In that incident, Frank Stallone, 67, called Hogg, 17, a "p—-" and "rich little b—-," and referred to fellow Parkland survivor Emma Gonzalez as a "headline grabbing clown" in a series of tweets that have since been deleted. On Sunday, Frank wrote that he was "deeply ashamed" of the ordeal, and called his statements "irresponsible." Creed II serves as a followup to 2015's Creed, and follows star Michael B. Jordan as Adonis Johnson, son of beloved Rocky character Apollo Creed. In the film, Jordan's character takes on Vitor Drago, son of Rocky Villain Ivan Drago, who killed Apollo during a match in Rocky IV. It is currently scheduled for a Nov. 21 release.